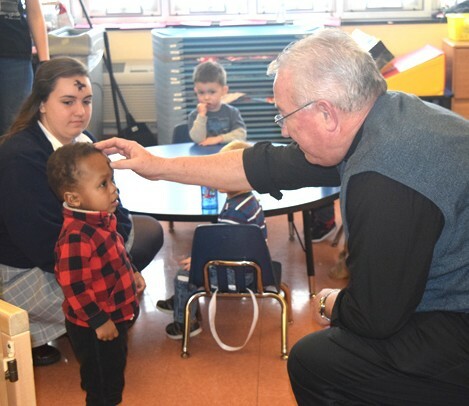 Father Paul Brandt marks a young boy, held by his mother, with ashes in the sign of the cross Feb. 10 at the Education Center of Blessed Teresa of Calcutta Parish, Limerick. 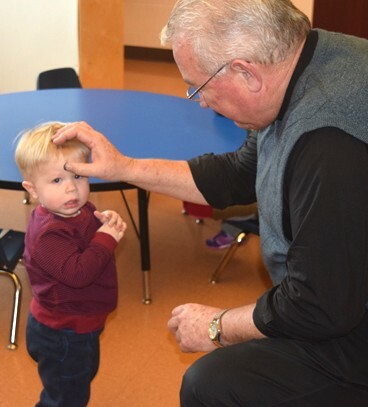 Father Brandt marks a young boy with ashes in the sign of the cross. 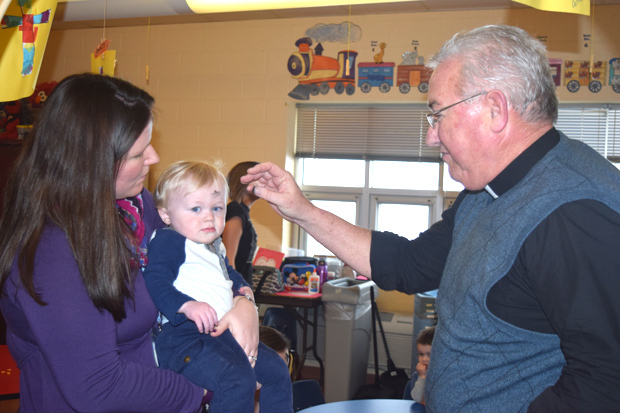 Young children in the Child Care program of Blessed Teresa of Calcutta Parish in Limerick received ashes from the parish pastor, Father Paul Brandt, on Ash Wednesday, Feb. 10 in the parish’s Education Center. 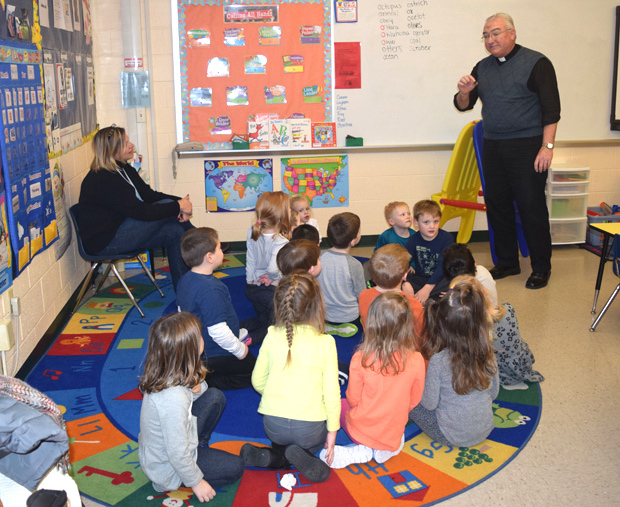 Father Brandt, assisted by program director Jackie Stiles, explained to the children the meaning of the ashes they received, the observance of Ash Wednesday and the beginning of Lent. The Education Center is located at 256 Swamp Pike, Schwenksville, on the Blessed Teresa campus. Father Paul Brandt talks to the pre-school children about Ash Wednesday and Lent.